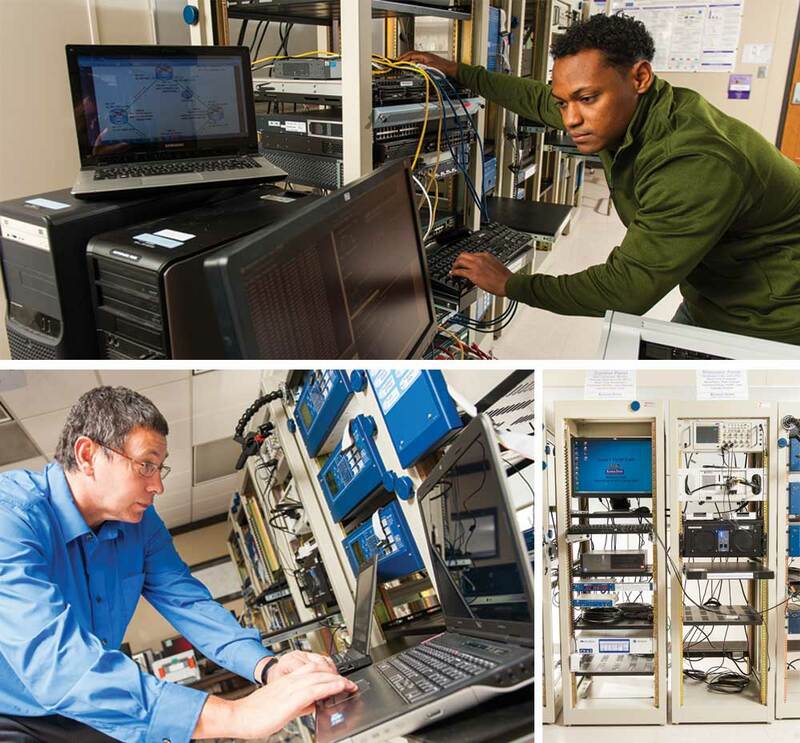 The Burns and McDonnell Smart Grid Lab was featured in K-State Perspectives. The lab, in Rathbone Hall, includes power grid and network communication equipment to support undergraduate and graduate research projects. It is one of the first facilities to test how emerging software-defined networking technology can more efficiently manage, distribute, use and secure electrical power.